The Golden Ears Bridge is about to report a loss in the range of $38 million last year, as evidence mounts that B.C.’s experiment using tolls to pay for major urban bridges is failing badly. 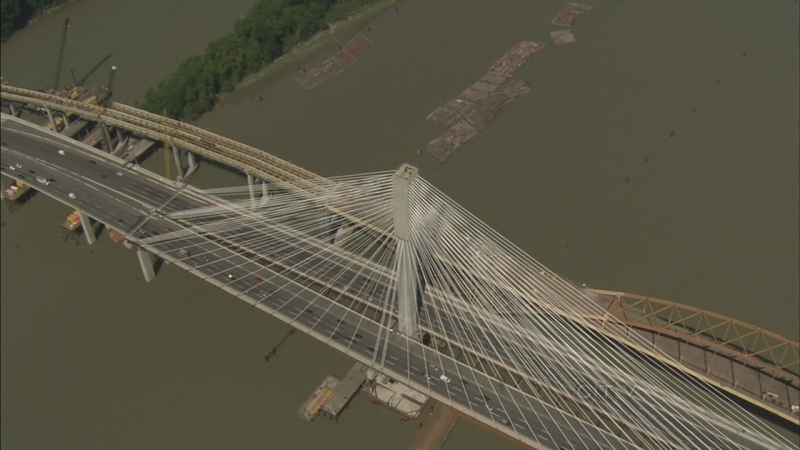 The problem: officials expected twice as many cars to use the Golden Ears Bridge than actually crossed the span in 2014 – collecting only about $42 million for a bridge that costs $80 million to run. “That proved to be inconsistent with what really happened. It’s more an art than a science and going forward we know we have to stress test those forecasts a little more,” said Fred Cummings, TransLink’s Vice-President of Engineering and Infrastructure Management. He said the bridge saw a 6 per cent bump in drivers from the year before, to about 32,000 a day. That has planners optimistic, but he said at this rate the bridge won’t be paid off until 2055. The private contractor that built the bridge will continue to receive a steady $4.8 million payment per month through its contract. It’s a similar story with the Port Mann Bridge. The province opted not to simply twin the old bridge and instead built the widest bridge in the world, expecting huge volumes. Again, drivers didn’t show up. The bridge now carries only about 101,000 drivers a day – less than the old bridge, which had about 110,000 drivers a day in 2011. That bridge now loses about $80 million a year. Part of that is because drivers opted for the free Pattullo Bridge, clogging New Westminster with traffic. Together, the two bridges lose nearly $120 million a year. By comparison, that’s about half of the revenue Metro Vancouverites are asked to provide with a PST hike in the upcoming transit vote. 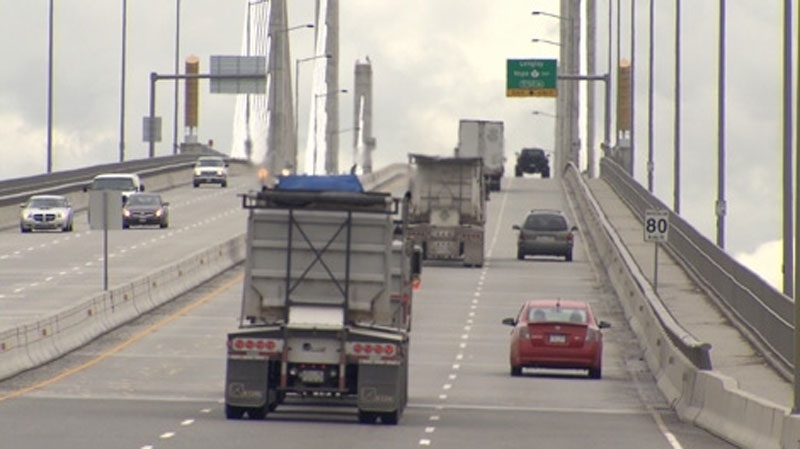 New Westminster Mayor Jonathan Cote says the bridges were not well spent – and warned that using the same optimistic projections for the planned George Massey Bridge could also result in big losses. “We need to make sure we’re not spending millions of dollars building empty roads and make sure that our investments are helping people move around in our region," Cote said. CTV News reported that 406,000 buses passed up riders because they were too full last year – a number that doubled since 2010. Cote said a yes vote in the transit referendum would funnel money to services that people are actually using. “We need to have a better discussion properly funding public transit,” Cote said. Premier Christy Clark told reporters that the province wouldn’t make the same mistake again with the bridge. “Anything we can learn from Port Mann we’re going to apply to George Massey. Every time we do a project like this we get better at it,” she said. Planner George Poulos said a larger shift is likely underway, prompted by the tolls. As people are asked to pay the larger cost of driving through tolls, which reflect the cost of the bridge they travel on, they are more likely to choose another way to get around. “I think you would see changing to different transportation types, different alternatives,” Poulos said. Poulos is with Discourse Media, which today published a calculator that lets riders see the true cost of their trip, paid by themselves and paid by society. You can explore it below. Voters are casing ballots in a plebiscite to see if they want to pay a 0.5 per cent more in sales tax to get a wide range of services, from 400 new buses to a subway along Broadway, to a new Pattullo Bridge. No side campaigner Jordan Bateman used to be a spokesperson for Get Moving BC, which advocated three new eight-lane bridges to ease congestion at the Fraser River in 2008. Today, he said he had scaled back his expectations of traffic as well. “The amount of traffic you would need to actually support six lanes between Maple Ridge and Langley, I don’t think you’ll ever see,” Bateman said.